Perfect for group holidays and family getaways, both houses can be rented individually or together, depending on the size of your group. Each house has its own access, outlook and garden area, allowing total privacy from one another. 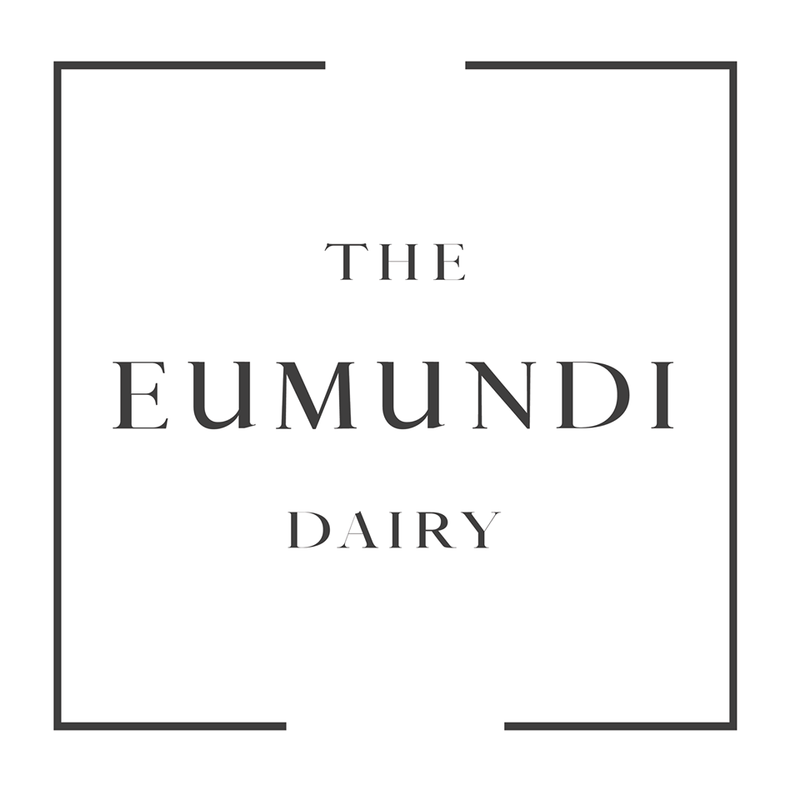 Accommodating up to 14 guests, The Eumundi Dairy offers a rural escape close to Noosa’s comforts and luxuries. Originally the farm’s cattle dairy, this building has been renovated to an exceptionally high standard with polished concrete floors, Italian travertine tiles and stainless steel Miele appliances while keeping the original building’s exposed ceiling rafters. Sleeping up to 8 guests, The Dairy offers 4 double bedrooms (3 with ensuites). There is a fully equipped laundry and kitchen with a Miele gas cooktop and electric oven, Nespresso coffee machine, fridge, microwave and dishwasher. 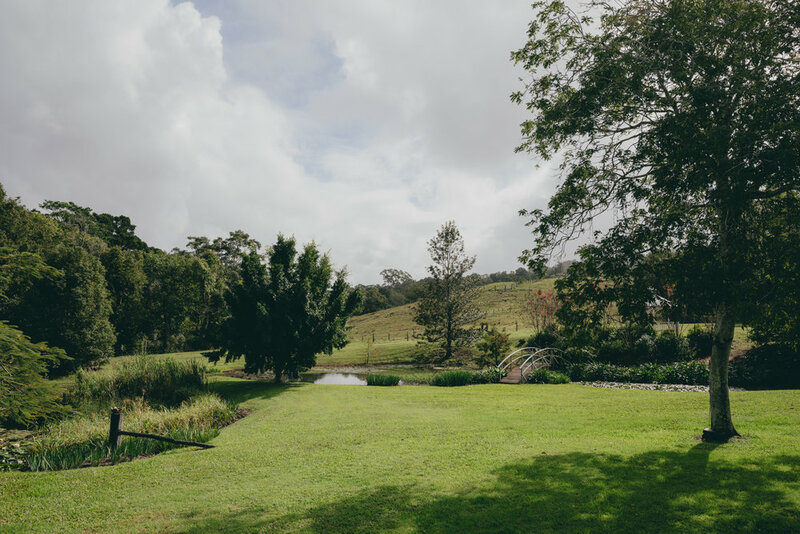 The Dairy has a wood fired pizza oven and there is ample dining space inside the open plan living area, outdoor undercover entertaining area, or even on the boardwalk under the ancient fig tree for those preferring to dine al fresco. 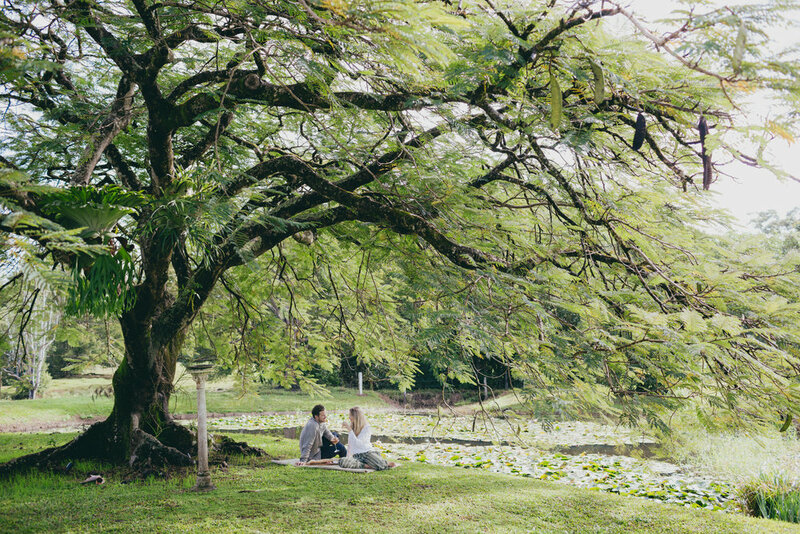 The Homestead is an original Queenslander farmhouse brimming with character. Sleeping up to 6 guests, the 3 double bedrooms (1 with ensuite) are individually decorated with their own unique country charm. The main bathroom includes a large shower, bath and vanity. All rooms in The Homestead are furnished to excellent standards, in an elegant country style, with many beautiful original features of the house on display. There is a fully equipped country kitchen with Nespresso coffee machine, gas cooktop, electric oven, fridge, microwave and dishwasher. A washing machine and dryer are also available in the adjacent laundry. 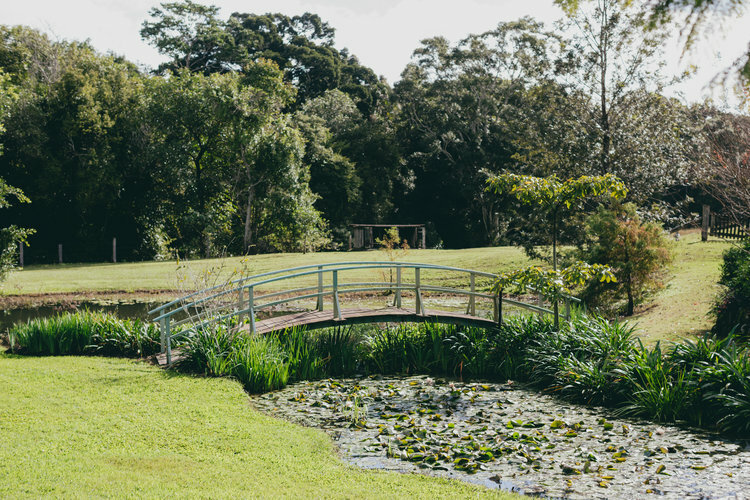 Almost every room in the Homestead has stunning views over the perfectly maintained gardens and ponds, to the cattle grazing paddocks and rolling hills beyond. The large wrap around veranda and numerous lounge rooms allow guests to find their own piece of privacy to sit, relax and unwind from everyday life.